Bakersfield College celebrates African American Heritage Month with numerous events on campus and participation in events in the community. 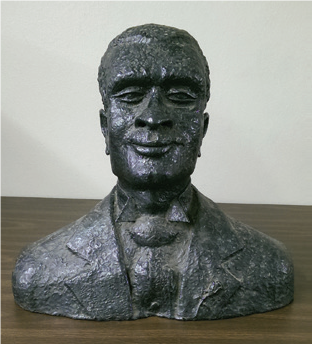 Bakersfield College Archives rescued this bust of an African-American man during the Center for Student Services remodel. There was no label or plaque, so we do not know who it is. Do you know the model for this bust? Email us with his identity. Events are brought to you by the BC African-American Initiative Committee. Distinguished Speaker Dr. Carol M. Swain will talk about how Congress responds to issues in the African-American community. For more information about this event, visit the event description in the BC calendar. Local community organization Harlem and Beyond hosts Dr. James Chaffers, a Professor Emeritus of Architecture at the University of Michigan and the first African-American to receive an archeology degree. For more information about this event, visit the event description in the BC calendar. Distinguished Speaker Clemantine Wamariya will discuss her memoir about escaping the Rwandan genocide as a child and migrating through seven different African countries in search of safety and shelter. For more information about this event, visit the event description in the BC calendar. In honor of Black History Month, this breakfast will provide an opportunity for the CSUB campus to come together, listen to an inspirational message and present the 4th annual Unity Award to a member of the CSUB campus community who exemplifies outstanding contributions in promoting diversity and collaborations. For more information, email Emily Poole at epoole1@csub.edu. Join the Friends of Allensworth as they continue to preserve Black History in Allensworth. Visitors will have the opportunity to interact with docents dressed in period attire and go on self-paced tours of the park's historic buildings. For more information, visit the Friends of Allensworth website. UC Merced Associate Professor of History Kevin Dawson will host this forum about the impact of the mass dispersion of Africans around the world during the Transatlantic Slave Trade. For more information, email CSUB professor Marie Stango at mstango@csub.edu. Get your team together and showcase your black history knowledge to win free gift cards and other prizes. 10:00 AM at 21 st. and V st. Enjoy the parade and watch for Bakersfield College! A panel discussion featuring black leaders throughout Kern County. For more information and to participate in this event, register via Eventbrite. LeMoyne College (LeMoyne-Owen since 1968) is in the rich tradition of “private, church-related collegesthat have historically served Black students.” Located in Memphis, Tennessee, Its roots go back to 1862. Over the years LeMoyne, as well as Bakersfield Junior College, has been known for its strong debate teams. Dr. Elton Weaver III, Ph.D., an Assistant Professor of History at LeMoyne-Owen, is currently writing a history of the LeMoyne debate program and contacted Bakersfield College to confirm the match held here. 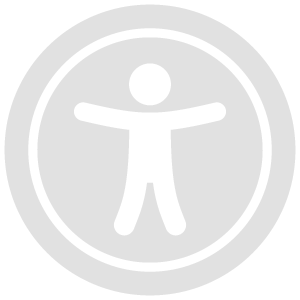 A search did indeed confirm the match with mention in the Raconteur, The Renegade Rip, and The Bakersfield Californian. According to Dr.Weaver, “throughout the 1930s and 40s, Coach Boris Alexander arranged for African-American debaters to participate in interracial debating tours to promote good race relations between black and white college students. During the height of American Apartheid—legalized racial segregation, Professor Alexander christened his pre-Civil Rights intercollegiate and interracial tours experiments in ‘interracial Goodwill.’ ” One tour took them to the South Pacific and Australia. Actually the correct spelling of their hosts’ name is Handis. Dr. George Handis was a well-known and admired medical doctor. His wife, Lena Handis, was the first black woman employed as a social worker in Kern County and was a sought after speaker in the community. Mrs. Handis was selected to be the moderator of the debate between BJC and LeMoyne. It is interesting to note that the two LeMoyne debaters, Charles W. Gilton and James S. Byas, were sons of prominent black doctors. In answering an inquiry about Boris Alexander, Dr. Weaver wrote: “Yes, Coach Alexander was definitely white. He sincerely loved LeMoyne College and strove to help every black student he came in contact with. . . . He was a Russian immigrant who had escaped Russia a few years after Lenin’s Bolshevik take over… [He] always taught LeMoyne students that, “The mind is thegreatest weapon.’ "
Dr. Weaver also wrote: “In my opinion, LeMoyne and Bakersfield’s positive interracial interaction illustrates both colleges’ willingness to contribute to racial equality.” Bakersfield Junior College at the time was under Miss Grace Bird’s enlightened leadership.